HIGH POINT, N.C. - April 4, 2018 - PRLog -- I'm short...and with that comes some perks along with some challenges. I can walk under branches without moving them, but my feet don't always touch the floor. So what are the challenges of short people anyway? I have come to terms with it as most of us have, but those jars of peanut butter on the top shelf, my holiday dishes in the top cabinet, and the lone sock in the bottom of the washer can still be a challenge at times. 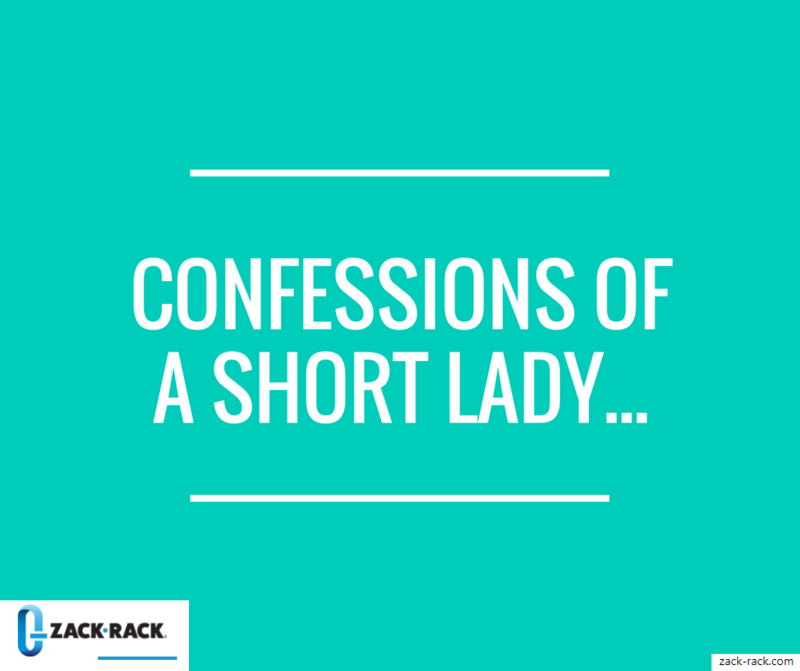 My name is Megan and I'm the blogger here at Zack Rack along with being the resident shorty (I'm 5'0). Read on to learn more about what the weather is like down here on a daily basis. • When I worked as a paramedic I could nearly stand all of the way up in a car to provide patient care during rescues and I could fit in many small places that most of the guys couldn't. As you can see being short has its ups and downs, but I wouldn't trade it for anything. Women who are 5'4 are considered average in the US and anyone below that is short by most people's definition. The average height for a man in the US is 5'10 and anyone under that is again considered short. So most products, cabinets, and stores are geared toward the average person. • Surprisingly the step ladder works well for this and our deep freezer where my gelato always seems to fall to the bottom somehow. • As cliche as it may seem I use pillows when all else fails. This works well to pad behind you when the seat won't slide up any further in a truck or other large vehicle. • Purchasing smaller furniture and recliners can help to give you a comfortable place to sit without being on the edge all of the time.